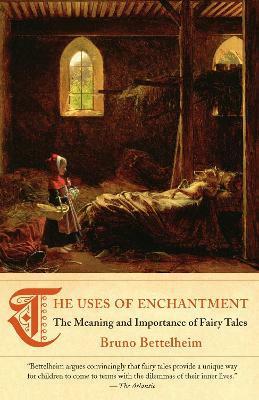 Bruno Bettelheim was one of the great child psychologists of the twentieth century and perhaps none of his books has been more influential than this revelatory study of fairy tales and their universal importance in understanding childhood development. Analyzing a wide range of traditional stories, from the tales of Sindbad to "The Three Little Pigs," "Hansel and Gretel," and "The Sleeping Beauty," Bettelheim shows how the fantastical, sometimes cruel, but always deeply significant narrative strands of the classic fairy tales can aid in our greatest human task, that of finding meaning for one's life. The great child psychologist gives us a moving revelation of the enormous and irreplaceable value of fairy tales - how they educate, support and liberate the emotions of children. Bruno Bettelheim was born in Vienna in 1903. He received his doctorate at the University of Vienna and came to America in 1939, after a year in the concentration camps of Dachau and Buchenwald. He was a Distinguished Professor of Education and Professor of both psychology and psychiatry at the University of Chicago. He died in 1990.